OUR HIKARI VIDEO SERIES! 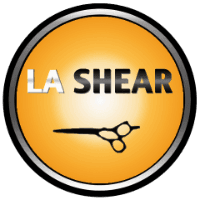 There is no doubt that my Distribution company LA SHEAR carries the Finest Shears in the Industry. Hikari, Kasho & Kikui Shears have Legendary Reputations for quality, Integrity & performance! So here is part 1 of my video series about these amazing Brands. Today we feature my Top Selling line – Hikari shears! Here is the first video in our series! Intro to buying Hikari Shears! Your in depth look at choosing a Hikari Shear! AN INTRODUCTION! If you’re around the Los Angeles area and want to demo a pair of shears before you buy them please email me! I have also helped thousand of Stylists by shears over the phone. So check it out! I look forward to helping you find your dream shear!